The CIES 2018 Education Film Festivalette, funded by the Open Society Foundations Education Support Program, focuses on socio-political factors that influence schooling in Latin American contemporary film. The selected films portray the complex inter-relationships between school and family life, between schooling and social and political realities, and the potential of education to transform individuals, communities and society. The program blurs the distinction between documentary and fiction: it includes two documentaries, one of which uses narrative storytelling techniques and four narrative films that incorporate real-life elements. Claudia Huaiquimilla’s Mala Junta (Bad Influence) (2016) explores ways in which the wider context of wider discrimination in Chile is reflected in schooling. The film focuses on an uncommon friendship between two troubled teens, one White and one Mapuche Indian. Celina Murga’s documentary Escuela Normal (Normal School) (2012), takes us into the day-to- day life of her own former school in Argentina as teenagers experience a political awakening as they experience student government elections. Two films provide hope through education amidst broken homes and communities. In Mateo (2014) Maria Gamboa, basing her narrative on real stories, illustrating the potential power of non- formal education, in this case the performing arts, to inspire social change. 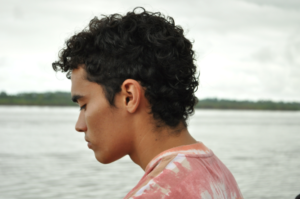 It tells the story of an adolescent boy’s journey out of violence in Colombia. Ernesto Daranas weaves a fictional tale also inspired by true experiences in Cuba for Conducta (Behavior) (2014), to portray a devoted teacher fighting for her troubled primary students in an inspirational and honestly conveyed story. How do we dream of a better life in a highly impoverished community that lacks educational opportunities? 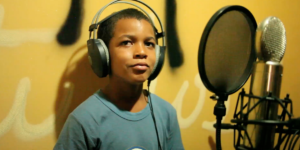 In the documentary Jeffrey (2016), Yanillys Pérez tells the story of a twelve-year old’s dream to become a reggaetón singer as he strives to help his mom financially. Diego Quemada-Díez interviewed hundreds of migrants to make La Jaula de Oro (The Golden Dream (2013) in which two fifteen-year olds from poor areas in Guatemala and a kind-hearted, wise, Tzotzil Indian from Mexico risk their lives to reach the United States. All screenings will take place at the Museo de Arte Popular Auditorium, Calle Revillagigedo 11, Historical Center, Mexico City, Mexico, 06000. The Festivalette program is available for download below. This three-hour show-and- tell facilitated by Hugh McLean from Open Society Foundations and Jorge Baxter and Adriana Cepeda, Festivalette curators, will feature clips from Latin American films and facilitate discussions between participants on how education is represented in these films and how they can be used in education settings. This film set in Southern Chile explores the ongoing ancestral Mapuche Indian conflict through the unlikely friendship of two teenagers. Tano, a rebellious youth from Santiago whose estranged father is trying to save from delinquency and Cheo a tender Mapuche who is bullied in school. Claudia Huaiquimilla of Mapuche descent inspired the film on her own family’s experiences. It suggests wider social transformation is possible when people are given due respect, which starts in the family and in schools. Celina Murga returns to her own public school in Paraná, Entre Ríos, to capture the inner workings of its high school in this slice of life observational documentary filmed throughout a year. It highlights the student government election race while taking us into the day-to-day life of the various spaces of the school, such as classroom sessions, what happens in the hallways, at break time and beyond, revealing the complexities of school and political life. It leads us to question the school’s role in preserving the status quo. “The task of the modern educator is not to cut down jungles, but to irrigate deserts.” (C.S. Lewis) Carmela, an experienced primary school teacher in Habana, risks her career by breaking the rules that hinder her deep conviction to help her students. Especially Chala, a feisty eleven- year-old boy who sustains his drug-addicted mother, and may be sent to reform school. Ernesto Daranas built the script from the community’s experiences. An honest depiction of educational and sociopolitical challenges facing contemporary Cuba. This observational documentary with narrative film elements immerses us in the life of Jeffrey, a twelve-year- old boy who can’t go to school because he works to help his poor family survive. Earning little as a windshield washer at traffic stops in Santo Domingo, he dreams of being a reggaetón singer and with his older brother’s help tries to pursue his dream. This film reminds us of the socioeconomic factors that affect access to education while we fall in love with this child who wants to keep dreaming. Join us for a drink and conversation with Celina Murga, director of Escuela Normal (Normal School) (screened Monday), and Yanillys Pérez, director of Jeffrey (screened Tuesday). They will answer questions and discuss their films. Celina Murga is an Argentinian writer, director and film producer. 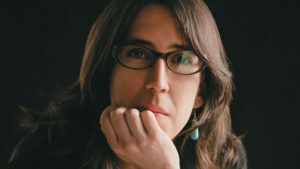 Before directing Escuela Normal (Normal School), her first documentary film, she made “Ana y los Otros” (Ana and the Others) (2003), “Una Semana Solos” (A Week Alone) (2007). In 2009, with the Rolex award, she was mentored by Martin Scorsese for a year. 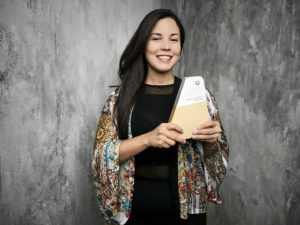 Her most recent film, “La Tercera Orilla” (The Third Side of the River) (2014), was nominated for the Berlin Golden Bear. 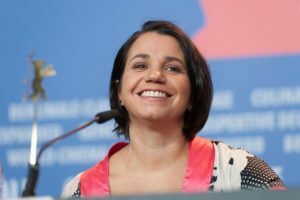 Yanillys Pérez is a Dominican-Venezuelan Director, Writer, Producer and Actress. Jeffrey is her feature debut. She has directed several acclaimed shorts and acted in the Golden Globe winning film “Carlos” by Olivier Assayas (2011). She is preparing to film the narrative feature “Candy Town”, also set in the Dominican Republic. With the proceeds from Jeffrey she is helping the real Jeffrey go to school. 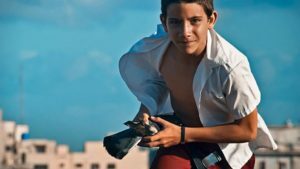 In a poor area near the Magdalena river, Mateo, sixteen, collects extortion money for his crime boss uncle and helps his mom sustain the family. When his school forces him to join a theater group run by a priest, the classes he attends reluctantly begin to transform him and his allegiance to his uncle is challenged. The cycle of violence may be broken. Maria Gamboa based the script on real life experiences from Barrancabermeja, where the Colombian armed conflict was highly ingrained but also where innovative educational programs have sprouted. Join us for a drink and conversation with director Maria Gamboa who will answer questions and discuss her film Mateo (screened Wednesday). Colombia-based Maria Gamboa studied filmmaking at NYU (New York) and La Femis (Paris). She worked as editor, producer, and assistant director in the USA and France. Before Mateo, she directed the acclaimed short film “20 mil” (20 thousand) and the Colombian TV series with armed conflict themes, “Revelados”for Canal 13. MATEO is her feature debut. Nominated by Colombia for the Foreign Language Oscar. 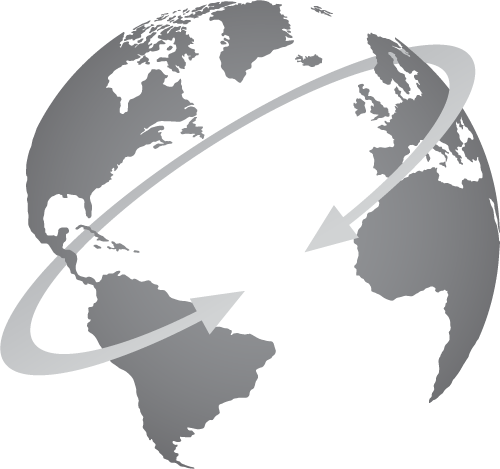 Three fifteen year-olds travel from the slums of Guatemala towards Mexico. There they meet Chauk a teenage Tzotzil Indian from Chiapas who doesn’t speak Spanish, also travelling north on the trains. The racial tensions between them and the injustice and discrimination they face on their journey is lightened by their growing friendship. Their bond breaks down the barriers, psychological and geographical, that divide us and leads us to question the role of education in this changing social landscape. Diego Quemada-Díez based the script on hundreds of testimonies and cast real migrants. Follow the CIES 2018 Film Festivalette on Facebook to stay updated!